One of the cool things about having easy access to I-95 is that it's pretty convenient for short or long trips covering Florida's Atlantic coastal corridor. 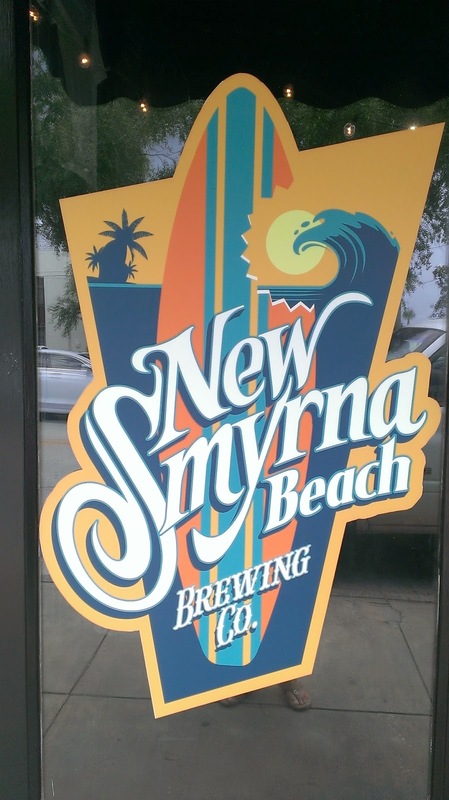 So, when I first visited New Smyrna Beach Brewing ("NSB Brewing") on my way back from Palm Beach Summer Beer Fest in August, I knew right away that I'd be back for another visit. A flat tire nixed an intended visit a couple of weeks ago, but mission accomplished last weekend. If you don't know where this is, New Smyrna Beach is located between Daytona Beach to the north, and Titusville to the South. It was named one of the "World's Coolest Surf Towns" by Travel and Leisure Magazine last November (2013), and one of the "World's Top 20 Surf Towns" by National Geographic in 2012. So, I guess there's something to that eye-catching brewery Logo besides good looks. 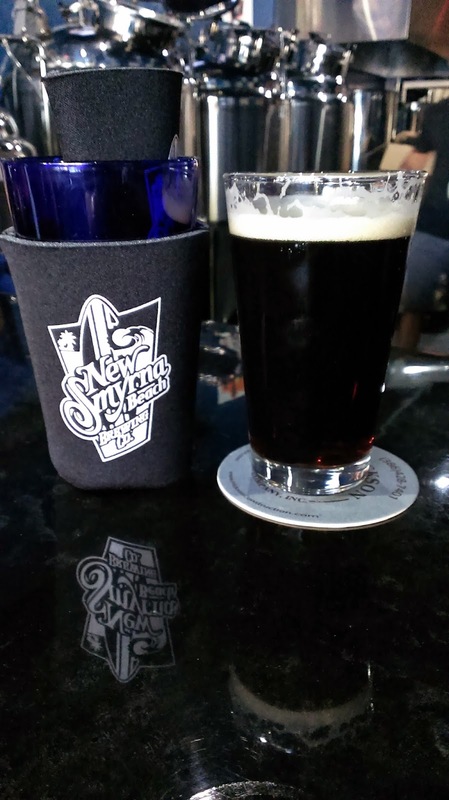 Not only is NSB Brewing located in a "surf town," but the Owner/Brewmaster, Chris Coyle, also has a background with surfing, as he was a sales rep for a surf company before realizing his true calling and passion for craft beer and making it happen. 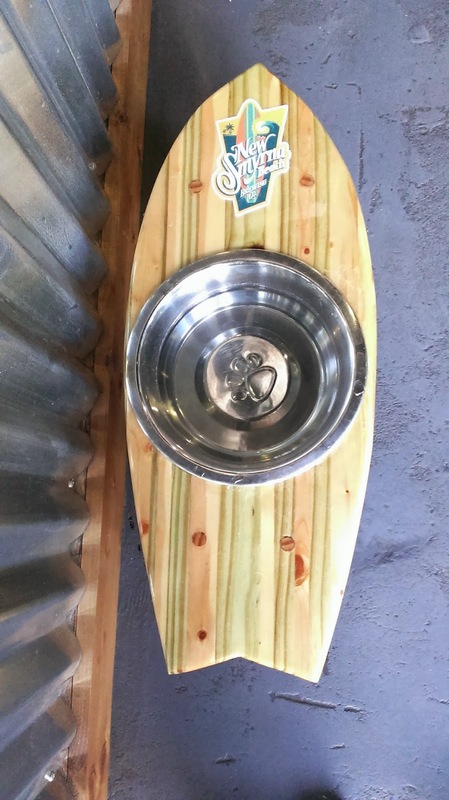 Hey, Chris, I don't know much about your surfing, but I sure am glad you're making beer! 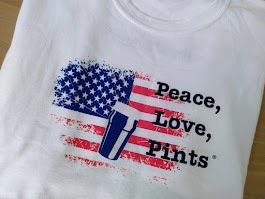 Like many others, Chris started out as a homebrewer, and after hearing a bunch of compliments about his brews, he decided to take the plunge and set out in the brewery business. He and wife Sara own the place, or, as Chris pointed out, "She's the owner, and she lets me play with beer." Well, that seems to be working out pretty nicely, and I think Sara knows what she's doing. 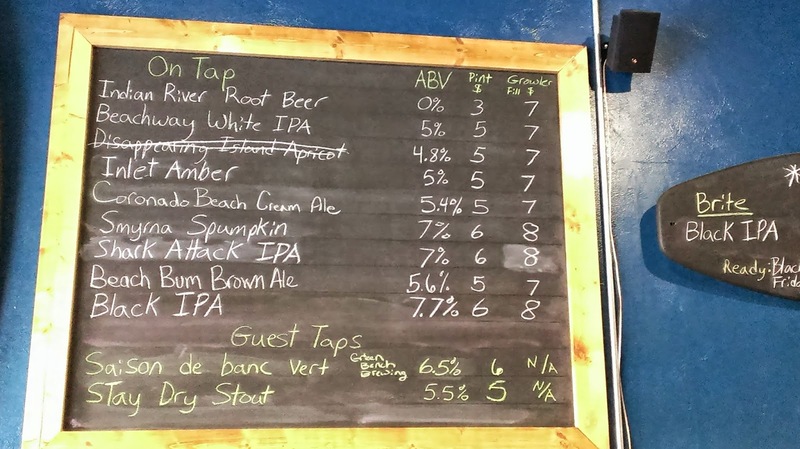 Chris is the only brewer, so let's talk about his beer. 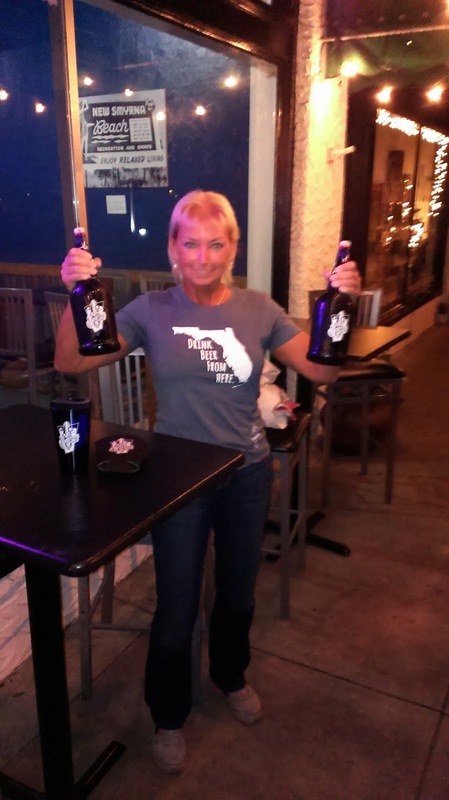 First things first... Last Friday was "Black Friday," and NSB Brewing tapped a Black Friday Black IPA for the occasion. Yeah, that had my eye when I saw the social media post ahead of time, so I kinda knew what I was doing on Saturday. Didn't need a sample, I just went for it. 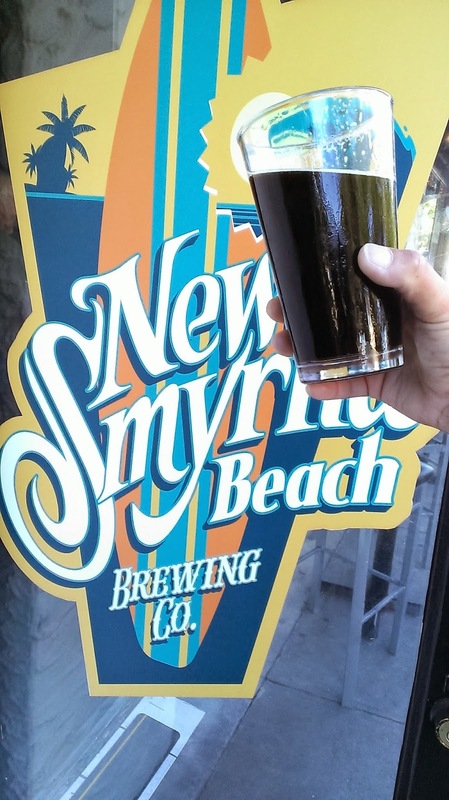 Coming in at 7.7 ABV and 52 IBU, the Black IPA, brewed with Cascade hops, has a roasty nose, awesome dark color, "awesome-er" flavor, and a just-right hoppiness, with slight bittering on the end. Generally, I like this style, and this one is a good one -- a really good one. 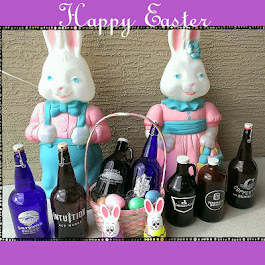 And, for you hopheads who like the really hoppy stuff, I think this one will appeal to you, too. when you can drink this? 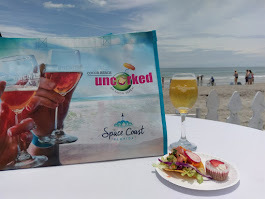 The first time I was here, I only had a Coronado Beach Cream Ale, which I loved. With an ABV of 5.5, it's got more body and flavor than the lighter macros (obvious, yes, but true). 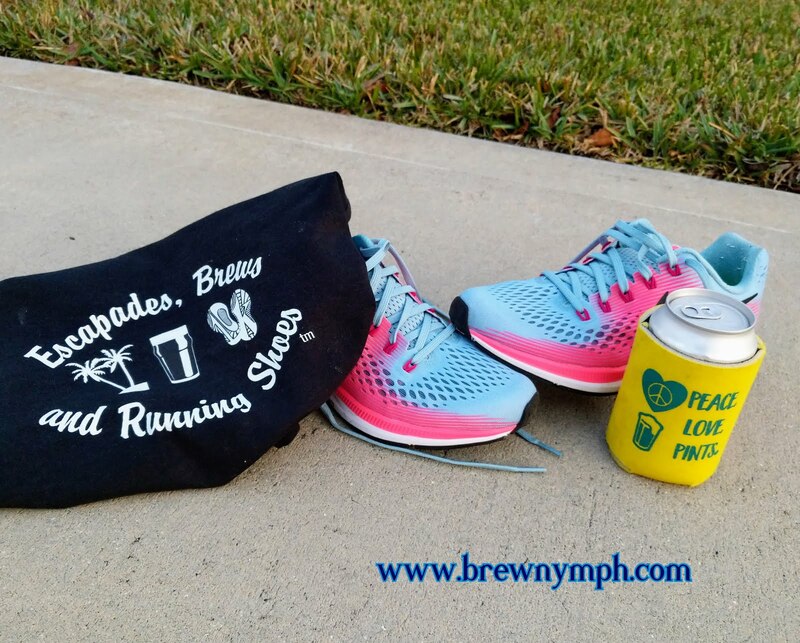 It's just an overall good, easy-drinking brew. Yeah, I enjoyed it again Saturday. This is a beer that you just can't go wrong with. 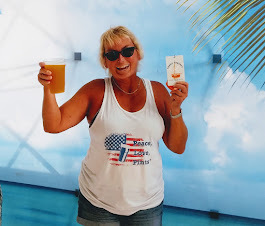 Next, I decided to do something a bit different and went for the Beach Bum Brown Ale. I have to admit that this is a style that I don't do regularly, as I usually go for stouts or porters for my darker beer cravings. This one starts off smooth, but brings a unique twist, having a bit of a kick at the end. Nice color, slightly nutty. Give this one a try. 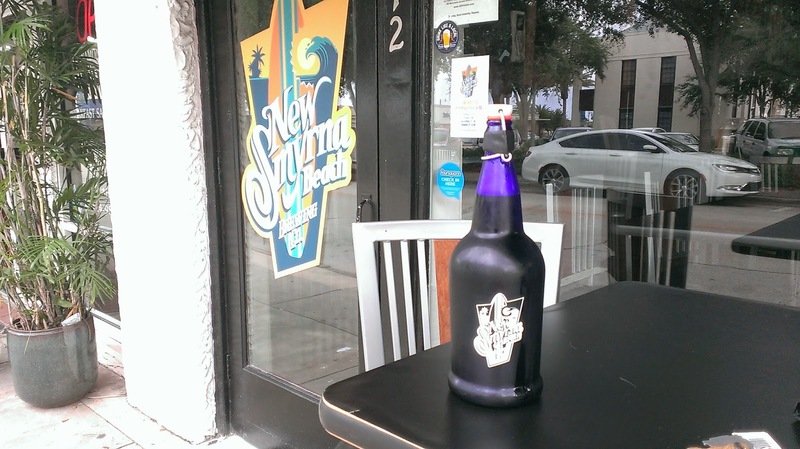 NSB Brewing is located at 112 Sams Ave. in downtown New Smyrna Beach, east of US 1, and just off Canal St. It's about a block from the intracoastal waterway and marinas. Cool, little-town feel. 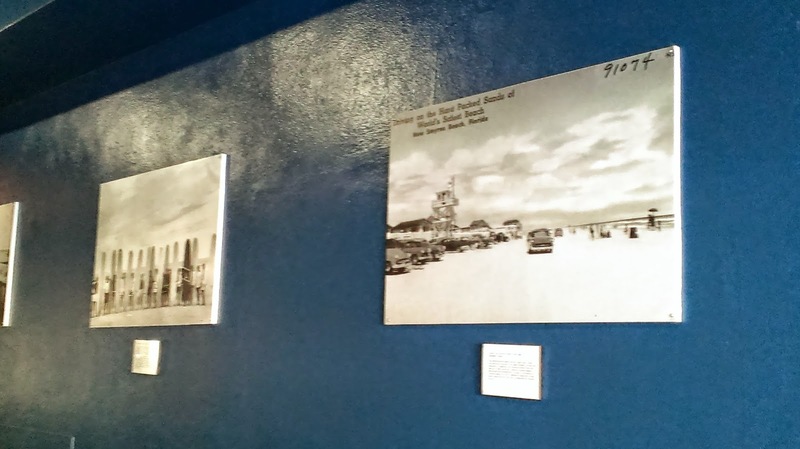 The inside features a bar, a couple of tables, photos of "old" New Smyrna Beach, and the 3-barrel brewhouse. Yep, you can see the whole brewery right there. There are a couple of tables set up outside, too. 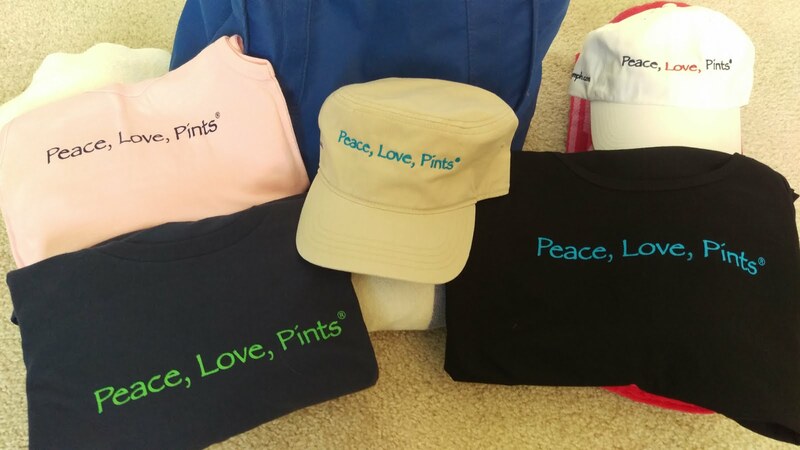 And, you can get some souvenirs to take with ya (shirts, pint glasses, koozies). 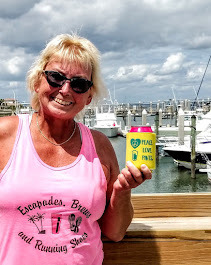 This is a fun place to hang out, and there's a definite thumbs-up for the beer! There were some friendly regulars in the bar, and that always make for good conversation. 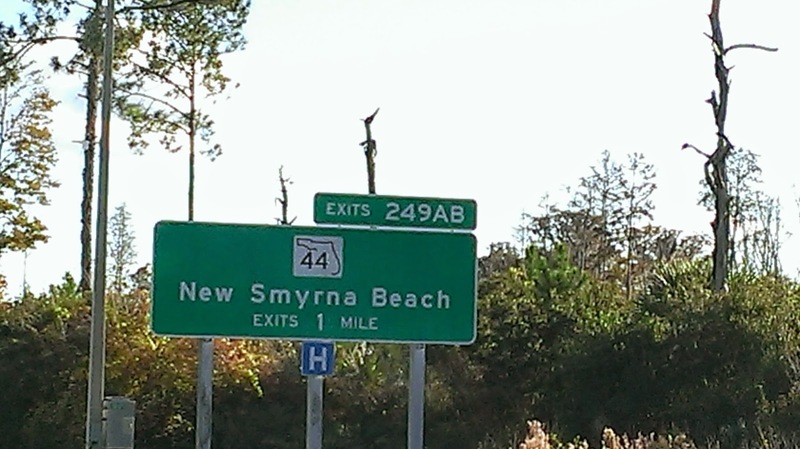 I had asked if this part of the state had a "coastal" nickname, and I learned that it's called the "Fun Coast." Heck, they even got the "386" area code -- that spells "FUN" on your keypad! 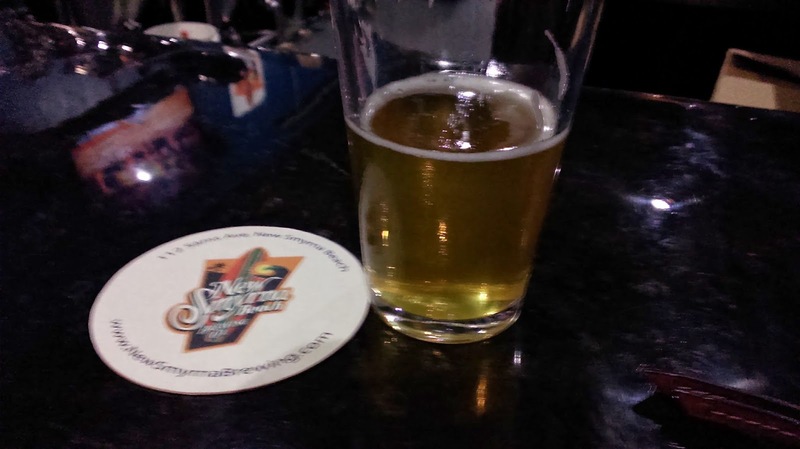 Last year and earlier this year, I remember seeing the status updates on the brewery during its pre-opening stages. 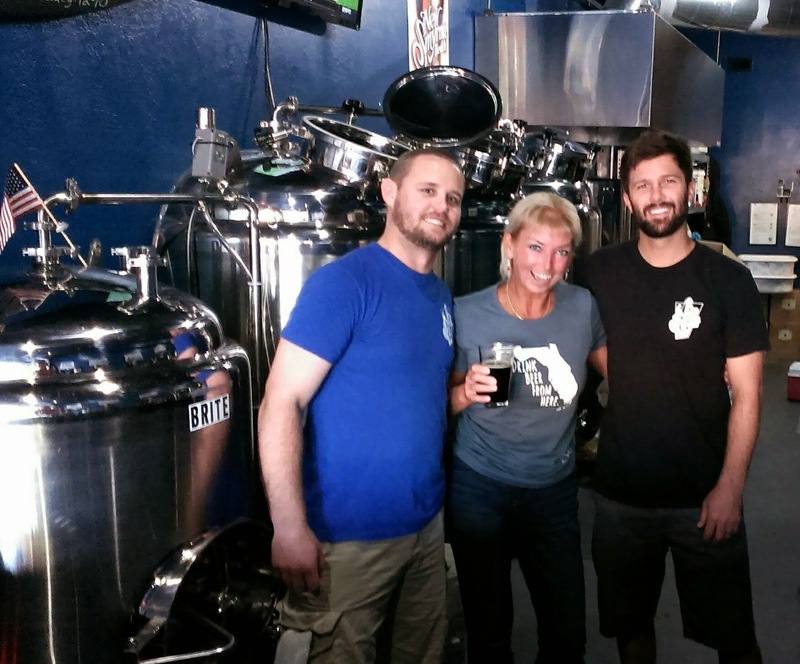 Although the build-out began during the Summer of 2013, NSB Brewing started brewing January 2014, following TTB approval. 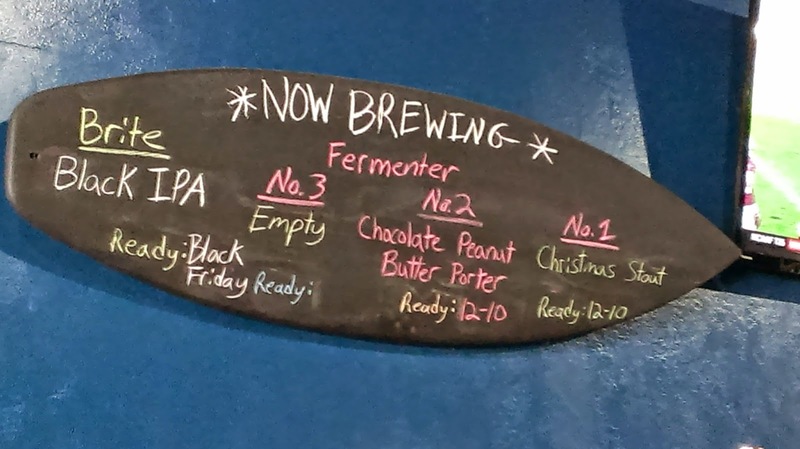 The brewery opened January 11, 2014 (although it didn't have any of its beers). So, guess what that means? A one-year Anniversary Party is in the works! Stay tuned for that! 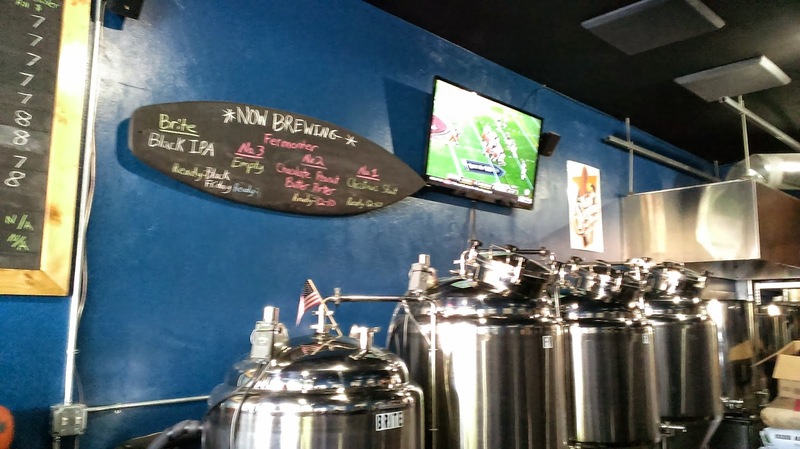 And, take the drive to New Smyrna Beach to visit this brewery-- you'll be happy you did. Til next time! Catch ya later!